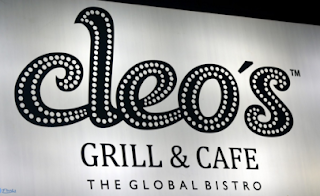 Braga brags...: Cleo's Grill - Avoid at all costs! Cleo's Grill - Avoid at all costs! It was a miserable experience at Cleo's Grill and there is enough evidence they are tampering review on Zomato to make it look good. That restaurant won't even deserve a 1.0 rating, however they constantly are writing face reviews with stellar 5 stars to make it available via Zomato. Zomato should take a look at detecting fake reviews in favor of improving their own reliability and trust. I am writing this review as it happened on Dec 18 2015. We were around 35-40 in count. And we entered the restaurant around 1PM. Initially we were served with a colorised juice and a cream of chicken soup. This happened after we took a seat in 15 min. After that there was a long gap. Then came the chicken-only starters. Three of the five varieties were not good tasting and were not hot as well. We asked for few veg starters. The waiter told that non veg and veg sections are separated and we are not entitled for veg starters. With few persuasion, they gave just one plate of veg starter having paneer and baby corn. When demanded more, the northeast waiter was clueless on what we were asking. A good 1.5 hours went during this battle. Unhappily we were looking at each other to make up something in the main course. Main course was the main disappointment. A bowl of fried rice, a bowl of noodles and few rotis that were nowhere close to fresh came to our table. We were 8 in our table and we could not even eat 20% of it. And that's it! No more main course. The waiters were all clearly under trained and uncommunicative. They were clueless on what we were asking or to sync to our requests. With few hand motions from them we learnt that this was all there for main course. Desserts were even worse. They said there were only two varieties. Vanilla and chocolate. When persuaded more, they said nothing but brought a close-to-liquid mix of vanilla and chocolate ice cream. We were left deserted for our desserts. In the ten years I've dined in and around chennai, I am rating this as the worst of the worst experiences. The restaurant was clearly under prepared to serve our capacity. They did not have the skills or the varieties to serve us. In that case, why take the booking at all?! It was pretty embarrassing for everyone of us. This kind of rude experience cannot be tolerated. I don't know if this is an exception going by zomato's 3.9 rating or if the rating itself is tampered/fabricated with fake reviews from the restaurant themselves. In any case, I cannot neither recommend nor visit this pathetic place ever again to anyone in this life or the next!